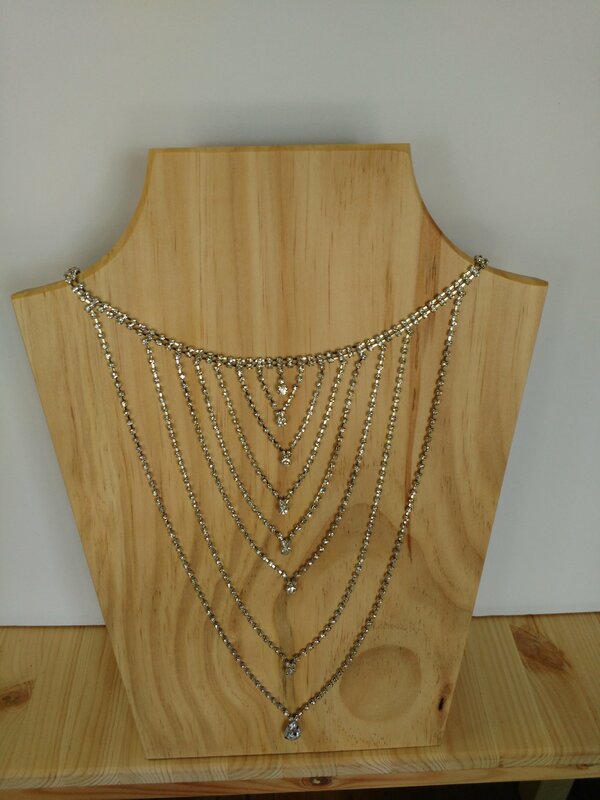 This beautiful back necklace is the perfect accessory for low back dresses. Make a statement at this year's Holiday parties. 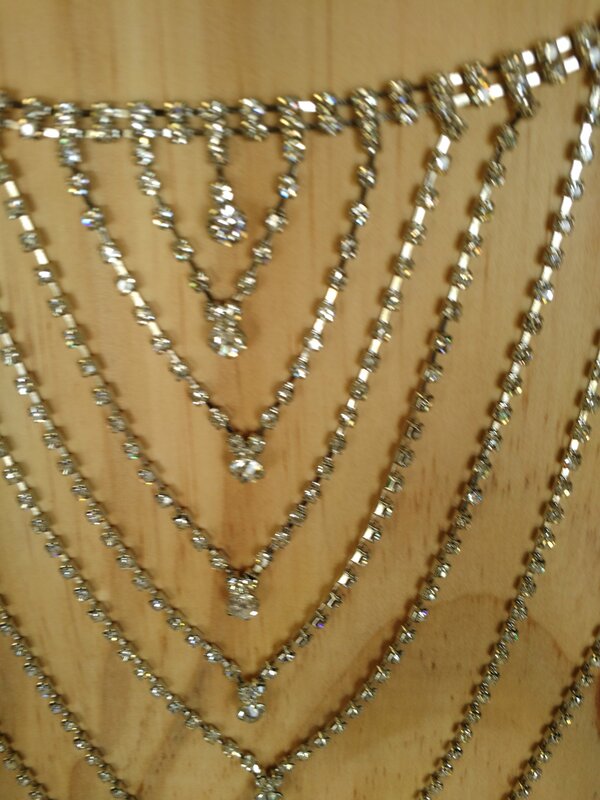 Also, perfect for the Prom or any Special occasion. 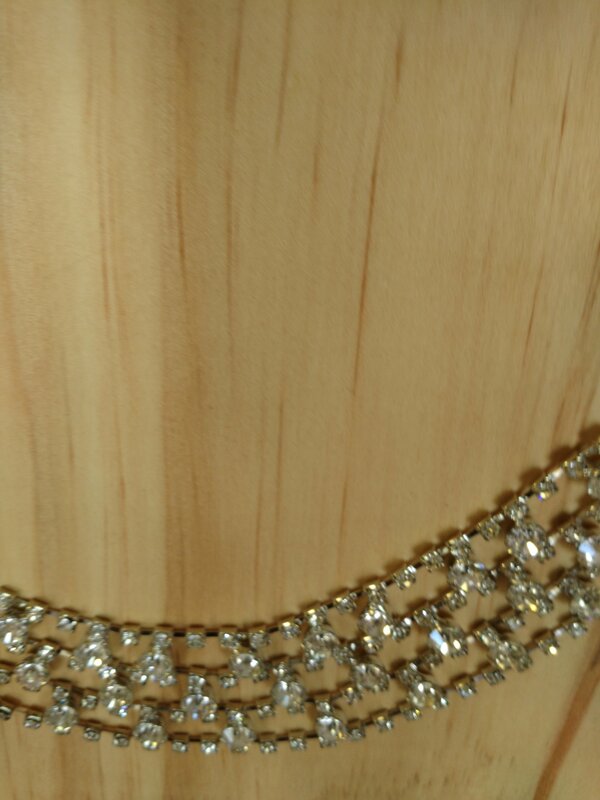 Front of necklace is a choker design. 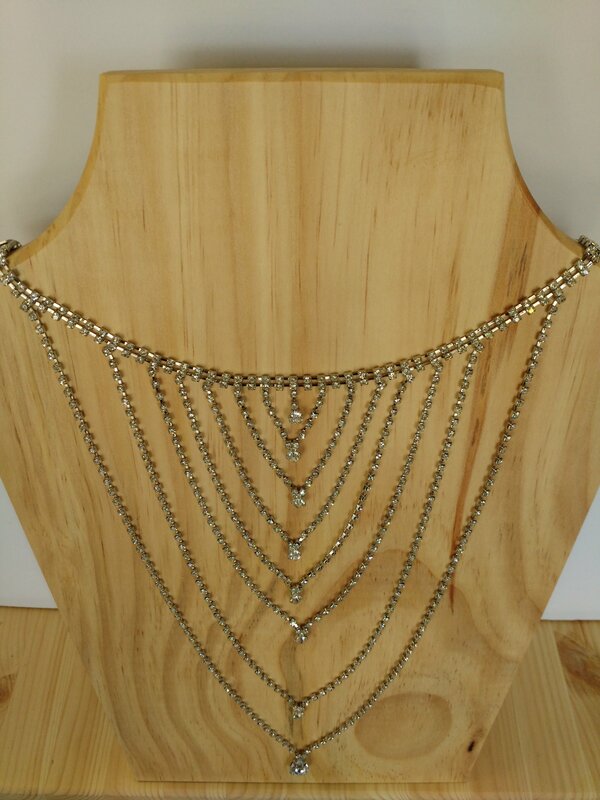 the back is comprised of seven joint rhinestone chains that come together to form a large V. Unique and Sophisticated. A true attention grabber.